As soon as I have a pile of squash sitting on my counter, we cut them in half, de-seed them, lather them up in coconut oil and bake them – about 45 min at 400 degrees under they start to brown and a fork slides right through. I let them cool, remove the skin and puree the flesh is in a vitamix with water or milk or cream or coconut milk. When making a large batch, I use water to keep it pure and versatile. I put the puree into ziplock bags and freeze them for later use in savory or sweet creations (soups, pizza toppings, lasagnas, desserts and more). Butter nut squash seeds roasted with salt and spice taste better, in my opinion, than pumpkin seeds and are less fibrous. 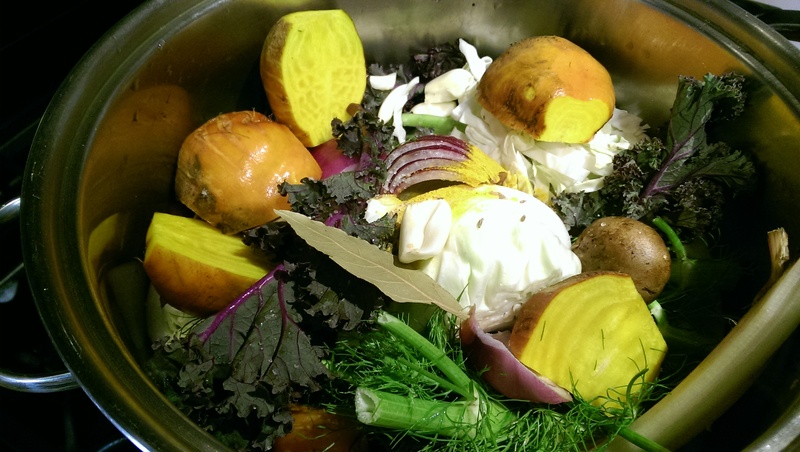 I think the key to a good soup is veggie stock. Stock makes any dish robust in flavor (Normally, I cook my quinoa in stock instead of water). You can use packaged stock or bouillon cubes, but I find making a stock is a great way to use up left over veggies in the fridge. I also throw in kale stems, chard stems, collard stems, carrot tops and beet greens, all the things we would juice or throw away. Toss the veggies into a stock pot (no need to chop them, just large pieces) with water, add some spice and seasoning, and let simmer for 4 hours until there is nothing left in the veggies but fiber. I freeze my stock in 1-2 cup portions. The stock added a depth of flavor that could not be achieved with water. Never replace a recipe that calls for a chicken stock or meat stock with water, use a veggie stock, mushroom broth or bouillon otherwise you will lack the robust flavor meat stocks offer. 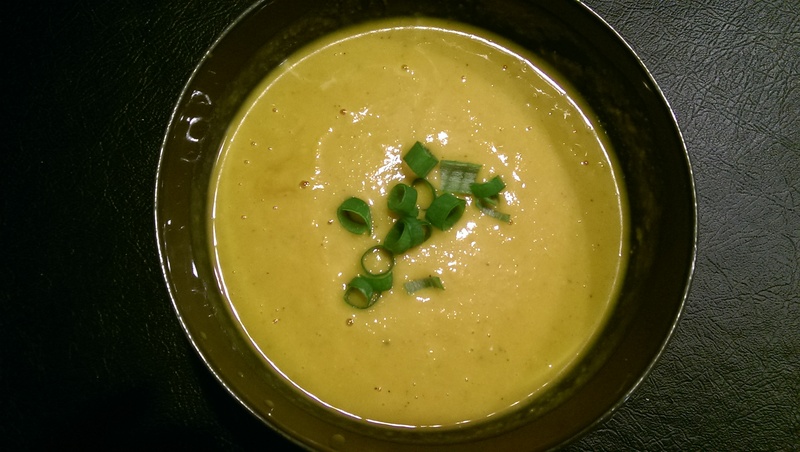 The curried coconut soup tasted amazing on its own so I only drizzled some coconut milk (from a can, full fat) on top. But I knew that I would want something more rich eating it for lunch through the week. So I blended in the can of coconut milk into the rest of the dish. It is rich, deep, flavorful and satisfying. I had so much left over squash, and very little freezer space, I was trying to figure out what to do. A lot of my standby recipes – like lasagna and pizza – were not possible. I began to crave and think about the squash biscuits I had made earlier this year. I know we are not supposed to bake for the Whole30 as we should wean ourselves away from foods that remind us of things we crave. But honestly, once the program is done, I will be back to baking. Just because it is bread-like or cake-like or ice-cream-like does not have to signal “bad bad bad!” It just needs to signal to my body “don’t eat that sugary processed dessert, you can have a better version of cake or bread at home that can be part of a whole meal, and not just a snack.” It’s just learning to eat much healthier varieties of these treats in moderation as part of a varied diet. I know I can retrain my mind to know that there are good forms of “bread” and bad forms of it and to withhold from the bad forms. I like to creatively think about what I would bake that is more healthy than my traditional grain and grain-like fallbacks. 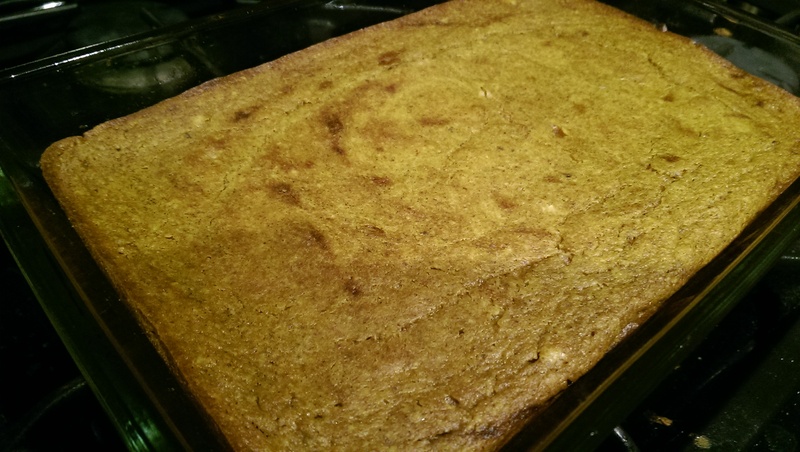 I wondered if I could make a flourless cake with the squash. I had a vague memory of a recipe I saw somewhere- likely on Pintrest – a while ago about such a cake. Could I reproduce it? I did! 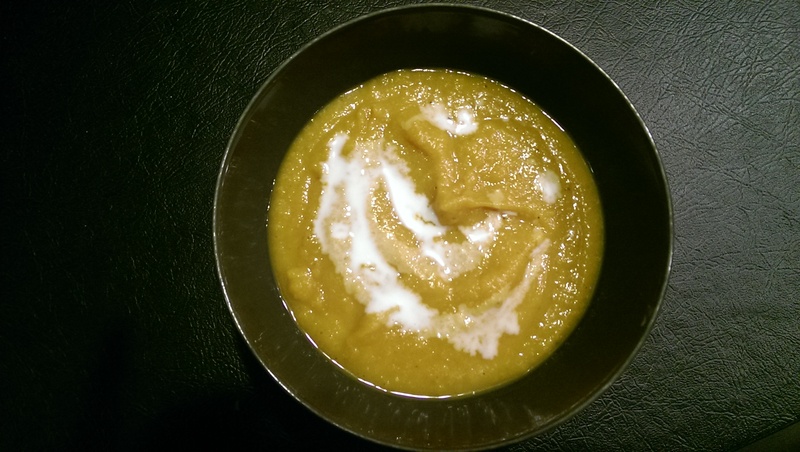 Two main ingredients: Butternut squash and almond nutbutter. Instead of baking soda, I used carbonated water. NO FLOUR. And Voila! Oh so gooey, tasty full of protein and satisfying. The beauty of this cake is that it can be savory or sweet. 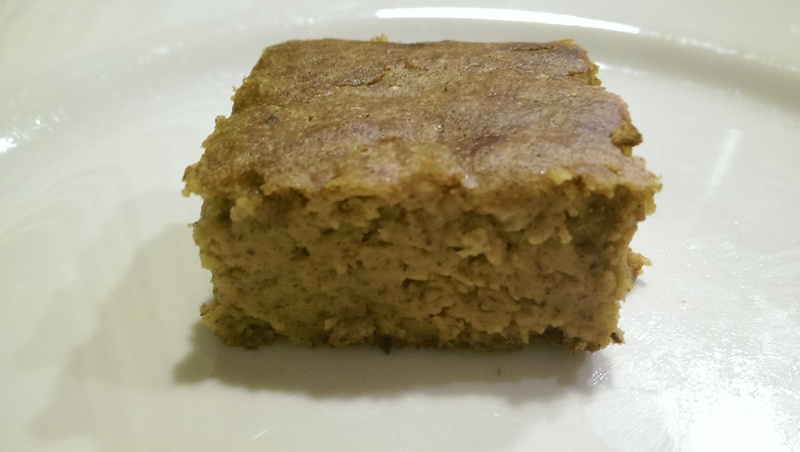 I used garam masala, fresh vanilla bean, ginger and walnuts. 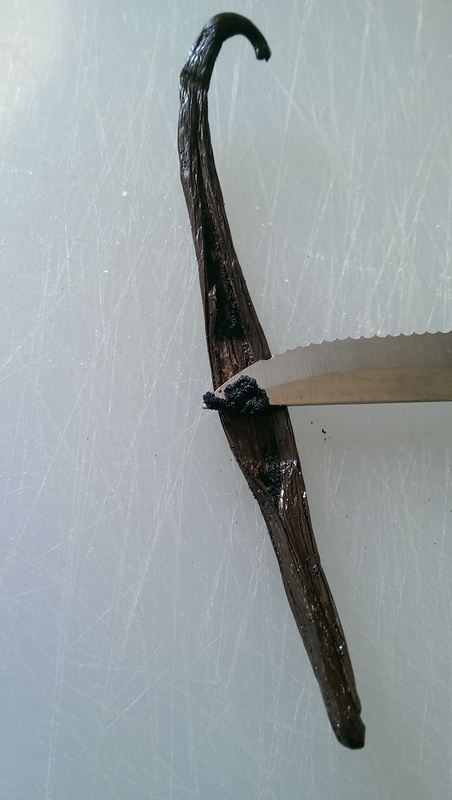 You can use an extract but I prefer fresh vanilla from the pod (Luckily I found a bunch cheap at a market). I also baked another one with half the sweetness and added curry powder, cayenne, chunks of butternut and a touch of salt (great as a side fro the soup). 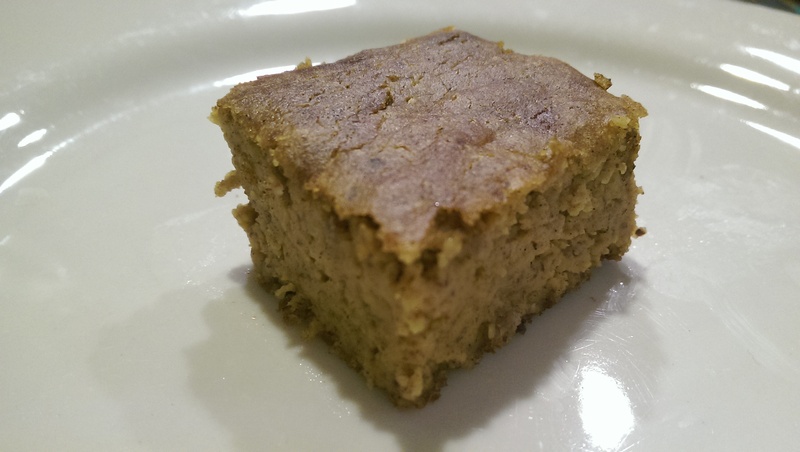 I used freshly ground almonds for almond butter – not only is it fresh and flavorful, you control the sugar (none) and additives (none). You can use peanut butter. Or half and half almond and peanut butter. Add chocolate, cocoa powder or carob chips. Honey instead of date. Maple syrup. Salted caramel. Dried fruit. CInnamon, cardamom, nutmeg. Pecans. Orange zest. The possibilities are endless. Sure we are not supposed to bake, but I don’t mind this exception – healthy goodness. Butter nut touch my cake!!! Bring to a boil, then reduce heat and simmer for 4 hours. Veggies should be colorless for the most part and just fibrous. Heat the ghee in a large pot, add in the spices and cook spices until fragrant (about 30 sec-1 min) then add in the onion. cook until tender (about 5-7 min, add water if they start to burn). Add the veggies including the squash and garlic. cook for 5 min, thoroughly coating in spice. Add the stock, bring to a boil then simmer for 20-30 min. Add in salt pepper. Blend with a hand blender, or wait until cool and use a vitamix or food processor. Add in coconut milk and mix. Mix everything together. Line a 9×12 dish with coconut oil. pour in batter and bake for 40-45 minutes at 350 degrees, until firm. Let cool before slicing.